Twenty-two years ago, we had come out of this mosque together after visiting the shrine of Sheikh Muhyiddin, and I watched for a moment as he stopped to buy some apples from a cart in front of the mosque. He took the plastic bag from the seller and filled it with the worst apples he could find nicked, bruised, and worm-holed which he chose as carefully as most people choose good ones, then paid for and with a smile shook hands with the man before we went up the hill to the sheikh s home. Small and lithe, he had a light complexion, penetrating eyes, aquiline features with expressive lips, and a trimmed mustache and full beard. He dressed elegantly, wearing a few turns of white and gold cloth around a red fez on his head, a knee- length suit and vest over a shirt without a tie, and trousers tapering to the ankles. As we climbed higher and higher, I wanted to carry the bag, but he wouldn t let me, saying that the Prophet (Allah bless him and give him peace) had said, The one who needs a thing is the one who should carry it. When I reflected on his strange shopping, I realized that it had been to save the apple man from having to throw any out. The incident summed up the sheikh s personality and life, which was based on futuwwa or putting others ahead of oneself. Many who knew him regarded him as a wali or friend of Allah, and surely his long decades of service to others had much to do with it. His wife bore him five sons and five daughters, and he was preceded to the afterlife by her and a son. Originally a weaver by trade, he had been instrumental in unionizing workers in the present c entury in Damascus, and served on the committee that led the Syrian Textile Workers Union in a successful forty-day strike for workmen s compensation. He had represented Syria in the United Arab Workers Union, and led an active public life. Earlier this year in the month of Rabi I, he had received recognition at the Burda [Prophetic Mantle] annual poetry awards given by the United Arab Emirates for outstanding service to the Umma of the Prophet (Allah bless him and give him peace). With the apples and everything else he did, he was always teaching students the inner sunnas of the character and states of the Prophet (Allah bless him and give him peace), to whom he referred everything. I am just a parrot, he told us. I once came to Damascus to complain about one of the brethren in Jordan, and after checking into a hotel, went to the tiny room and bookshop of Sheikh Abd al-Wakil al-Durubi off the courtyard of the Darwishiyya Mosque. Sheikh Abd al-Rahman would drop in after the noon prayer each day to visit with his friends, and I found him there and gave my Salams, but before I could say anything, he said, How is your ego getting along with So-and-so? mentioning the person by name. I was abashed for a moment, then said, Praise be to Allah. The sheikh replied, Praise be to Allah, then talked about the importance of being with true and honest people, and avoiding those who spoke badly of others. Despite such incidents, the sheikh would say, The person of the sheikh is a veil, and never drew attention to himself, but to Allah and to the sunna of His Messenger (Allah bless him and give him peace). He stressed learning the traditional sciences, and would not permit disciples ignorance of fiqh or aqida. He never went to school, because as an orphan brought from Homs to Damascus by his older brother, he had to earn his keep by running errands, and taught himself how to read and write by looking at the signs above the shops whose owners names he knew. When he later got a job as a weaver, he used to sing his own rustic religious compositions to popular tunes, keeping time to the loom he worked at. A fellow worker heard him, and told him that he should study Classic al Arabic. What is Classical Arabic? he asked, and the man took him to Sheikh Husni al-Baghghal, who educated him in Shafi i fiqh and Arabic grammar. He studied these and other traditional subjects with sheikhs of the time such as Muhammad Barakat, Ali al-Daqar, Isma il al-Tibi, and Lutfi al-Hanafi. Sheikh Abd al-Rahman told us that when Husni al-Baghghal caught tuberculosis, before the era of antibiotics, he was put in quarantine, which his student defied by visiting him. His teacher told him he was risking his life, and in reply, seeing that the sheikh had a candy in his mouth, Abd al-Rahman asked if he could see it for a moment. The sheikh gave it to him, and the young man popped it into his own mouth, telling him that according to tenets of faith ( ilm al-tawhid), causes do not bring about effects by themselves, but only by Allah s will. The illness proved terminal to the sheikh, but Sheikh Abd al-Rahman survived. His long association with sheikhs of learning bequeathed him a lifelong respect for Islamic knowledge and a habit of making sure before answering any question about religion. What the Imams have recorded is our religion, he used to say, and when I once asked him what dhikrs one should recite after the prescribed prayer, though he had prayed all his life and was over seventy at the time, instead of answering he reached to his bookshelf, found Imam Nawawi s Kitab al-adhkar, and read several sahih hadiths from it. Throughout the 1980s, whenever I would ask him about a hadith or verse of the Qur an, he would always reach for a reference work and in his patient way open it up and find something about it. Though he knew many of the answers, I had to be taught to use references, so he taught me. This became apparent in later years, when he came to answer me more freely from his own learning. Born in Homs in 1910, he came to Damascus at three, and worked first as a stableboy, then as an errand boy, then as a weaver, then as a foreman, then as a supervisor of textile mills. When the textile industry was nationalized under socialism, he was but two years away from retiring and receiving his pension, and was now asked to head the industry. He told the government that nationalization is theft, and he would have nothing to do with it, for which he was fired and forfeited his pension. He later found a position as a teacher of tenets of faith at a religious academy, where he taught until he was over eighty years of age and could no longer walk to work. In subsequent years, until Sheikh al-Hashimi s death in 1961, Sheikh Abd al-Rahman became the head munshid or singer of mystic odes, at the hadra or public dhikr the sama or audition advocated by Junayd and his circle as well as the modern Shadhili tariqa. Sheikh al-Hashimi also authorized him to give the general litany (wird al- amm) of the tariqa to others. 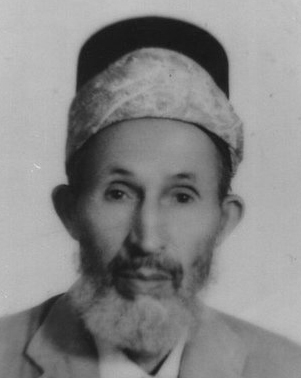 Although later in the sixties the brethren urged Sheikh Abd al-Rahman to teach them, and he had been authorized at the time by both Sheikh Muhammad Sa id al-Hamzawi of Syria and Sheikh Ali al- Budlaymi of Algeria, he did not use either authorization to teach, until Sheikh Muhammad Sa id al-Kurdi of Jordan whom Sheikh Abd al-Rahman had introduced to Sheikh al-Hashimi in the 1930s and been his fellow disciple with made him his authorized successor. Sheikh Abd al-Rahman’s teaching in Sufism, like that of Dhul Nun al-Misri, Shadhili, Ibn al- Arabi, Darqawi, and others, was based on the Oneness of Being, realized experientially by the salik or mystic traveler. Oneness of Being meant the being of Allah, and was never confused or identified with the physical, contingent being of created things. Physical things, Sheikh Abd al-Rahman would say, never even catch the scent of true Being. Rather, Allah is One, without any partner in His transcendent perfection, without any associate in His entity, attributes, rulings, or actions; while the entire world is merely His action, as the Qur an says, This is the creating of Allah, so show me what those besides Him have created (Qur an 31:11). For Sheikh Abd al-Rahman, the world was pure act, while Allah was pure being, and the two were completely distinct, though the world depended solely and entirely upon its Maker, whom it revealed as His action. This was his conception of the Oneness of Being. And the spiritual way, as he put it, was that knowledge become vision. A spiritual path that does not bring one to Allah, he would say, is a means without an end. His way of mudhakara or teaching Sufism was mainly by public lectures from classic works, semi-public sessions of singing poetry at people s homes, and private meetings with students who had taken his hand. I heard him teach from Ibn al- Arabi s al-Futuhat al-Makkiyya, Abd al-Qadir al-Jaylani s Futuh al-ghayb, al-Siraj al-Tusi s al-Luma , Muhammad al-Buzaydi s al- Adab al-mardiyya, Ibn Ajiba s al-Mabahith al-asliya, Abul Mawahib al-Tunisi s Qawanin hikam al-ishraq, Shihab al-Din al-Suhrawardi s Awarif al-ma arif, Abd al-Wahhab al- Sha rani s al-Yawaqit wa al-jawahir and his Lata if al-minan, Mustafa Naja s Sharh al-wadhifa, and other works. He had heard most of these from Sheikh al-Hashimi, and like his sheikh, would exposit them with the Qur an, hadith, Ibn Ata Illah s and other Sufi masters aphorisms, but most of all, as a poet and singer, with verses from the diwans of the great Arab masters of mystic poetry. He had memorized much from Ibn al-Farid, Abu Madyan, Ahmad al- Alawi, Abd al-Ghani al-Nabulsi, Yusuf al-Nabahani, Muhammad al-Harraq, Umar al-Yafi, Amin al-Jundi, Abd al-Qadir al-Himsi, and of course his own two-hundred-page volume of poetry al-Hada iq al-nadiyya fi al-nasamat al-ruhiyya (The dew-laden gardens: in the soft breezes of the spiritual), which he edited with his disciple Dr. Mahmud Masri and published in Aleppo in 1996. His main lesson of the week took place after the dawn prayer in his own home high on the side of Mount Qasiyun above Damascus. He would begin with Ibn al- Arabi s al-Futuhat al- Makkiyya, which he read consecutively in this lesson for seventeen years. Then he would read from a work of Ash ari theology such as Sheikh al-Hashimi s Miftah al-janna, Ibrahim al- Bajuri s Hashiya on the Matn of Sanusi, or one of the other books which he finished from beginning to end over the years in this lesson. Then he would conclude with Kandahlawi s Hayat al-Sahaba to emphasize that a true Sufi must gauge his spiritual path by those educated by the Messenger of Allah (Allah bless him and give him peace), the prophetic Companions. His scrupulousness (wara ) resembled that of the early Muslims; his personal practice of Islam was strictness for himself and leniency for others. When told that the soap he had used might have been derived from something ritually impure, he immediately took a shower and changed his clothes. He knew that Hanafis considered the chemical transformation of soap manufacture to purify unclean animal products, but he was a Shafi i, and he adhered to his own school in all matters of taqwa. In 1988 I went with him and three others by car from Medina to Mecca on an umra or lesser pilgrimage, and from the moment we entered the Sacred Mosque until we left to Jedda, the sheikh would not lift his eyes more than two meters ahead of his feet, out of awe for the place, in which even the sins of the eyes are greater than anywhere else. In the last year of his life, I saw him refuse to use cologne he had been told was ritually pure, waving it away impatiently because of the probable alcohol content in it, and forming with his lips, which could no longer speak, the words How do you know? He was at his greatest as a spiritual guide, perhaps, in the khalwa or spiritual retreat, into which he initiated a number of those who took the path. He would impart the Supreme Name to the disciple, and then by degrees bring him to a point of the dhikr at which he would pour his own yaqin or certitude into the heart of the disciple in a way not easy to describe, bringing him to a realization of the transcendent Oneness of the Divine. Disciples varied in their level of spiritual aspiration, purity of heart, intention towards the sheikh, and taqwa, and consequently in their degree of attainment, and the sheikh would follow up with them in the years afterwards by precept, example, and readings from classical works, so that they could continue to progress by measuring themselves against suitably high standards, the prophets (upon whom be peace), the Sahaba, and the great awliya of the past. He never stopped teaching. He once entered the head office of a small religious academy in Damascus with a group of his students and sat down to talk to the director, who bade him wait until he finished some things that appeared somewhat urgent. One thing seemed to lead to the next, and phone calls came one after another. 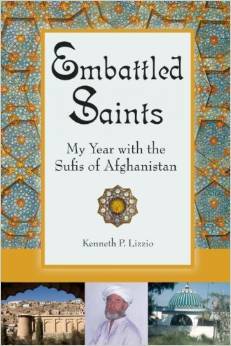 Sheikh Abd al-Rahman waited patiently, while his disciples, as the minutes drew on, grew less and less so. Finally, after a quarter of an hour, the principle of the school set aside his work, looked up at the sheikh, and apologized with a smile, putting himself at the sheikh s service. The sheikh thanked him, asked him how he was, and then said, I just wanted to make a phone call. After a short call, he got up, thanking the principal profusely, and left with his disciples. They had needed a lesson in patience and manners, and the sheikh had given them one. But such moments were the exception, and he tended to have a light hand with students. 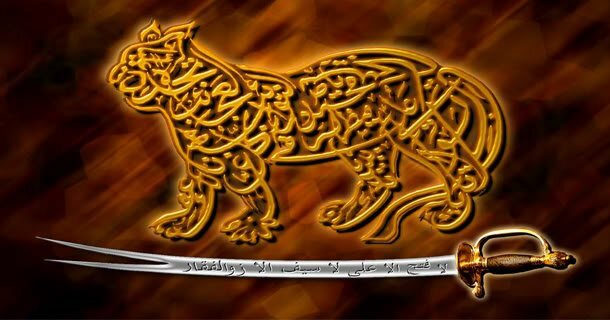 He used to say, Everyone takes after his own name, and the meaning of Abd al-Rahman, Servant of the All-Merciful, was part of the way he taught and was. He took disciples as they were, and saw how he could improve them. His criticism was generally allusive and indirect, and I would often be well down the street after a visit before I realized that he had intended me by his comments. In olden days, he once explained, smoothing his trouser leg, disciples used to smooth the clothes of the sheikh. But in ours, the sheikh has to smooth the clothes of the disciple. I remember him being asked, on one of his teaching visits to Jordan, about long hours of dhikr for disciples after they had entered the khalwa and were free to invoke the Supreme Name as long as they wished, something not allowed to those who have not entered it. Long hours of dhikr? the sheikh had wondered. No, it is sufficient to just invoke the Name for five minutes, or ten minutes, before going to bed. After the singing and stories, and the questions and answers, the brethren finally went to sleep on the pallets spread around the floor, and the sheikh repaired to his room, where he invoked the Supreme Name through the night. It was his way to tax himself, and make things easy for others. Although always kind and warm, in earlier years he would sometimes express his concern for disciples with a firm yes or no. When I once asked him on behalf of a disciple from Jordan for permission to add a room onto a house, the sheikh said, Tell him that if it is necessary for his family or guests, he may go ahead. But if it is only to glut a desire, then no. He mostly advised however by hint and suggestion, and I recall that when some disciples ignored his advice and did what they wanted instead, he merely said, Had Allah known any good in them, He would have made them listen (Qur an 8:23). In later years he became more absorbed in the divine beauty (jamal) and acquiesc ent to others. We were once driving across town in Damascus together during election week, and I was reading the hand-lettered cloth campaign banners that stretched across the street and filled the sky. The tenure ofSyria s president had been marked by a series of landslide victories at the polls, and he had now been nominated for yet another term. The sheikh put his face near the windshield, looked up at the banners, and commented, A feast for calligraphers! He only saw the good. He authorized a number of sheikhs to give instruction in the path. It is related that he wrote out such an ijaza or authorization and carried it to one of the cities of the north to give to a sheikh there, but when he discussed Ibn al- Arabi with him, realized that he was not of the same opinion about him as himself, and because he felt this was important, returned to Damascus without giving it to him. He likewise gave an authorization that he later revoked because he found the recipient s character wanting. When asked about the reality of the ijaza, he once said, It is a means for its possessor to defeat his devil. And when asked why sometimes even an authorized sheikh may go bad, he said, It happens to someone who did not keep the company of his sheikh long enough to absorb his state. In short, he considered the ijaza a necessary condition to be a sheikh, but not a sufficient one. For these reasons he was very conservative about authorizing sheikhs in the tariqa saying that whoever asked for it would be plagued by Allah with it until after a series of strokes and a coma of fifty-five days in January and February of 1999. He returned to consciousness extremely weakened, and afterwards was much less stringent, perhaps because he considered Sufism to be the third great pillar of the din, and wanted as many people as possible to teach it in whatever capacity they could. 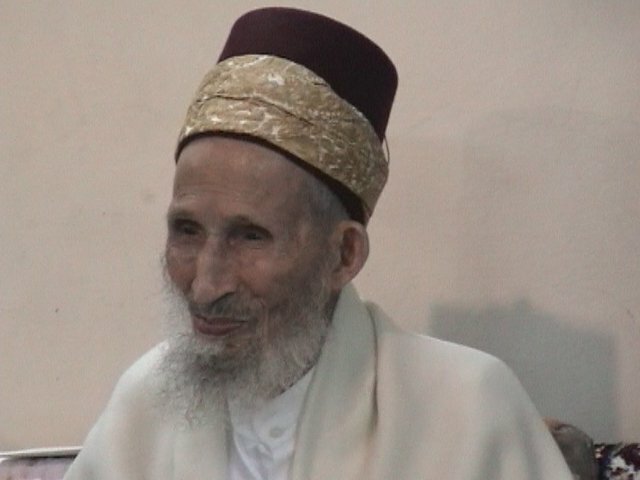 Only a few of those he authorized originally took him as their sheikh, kept his company in his active years, entered his khalwa, and attended his readings to the brethren before he stopped for health reasons in 1996; while most were previously trained or authorized by other sheikhs or only kept his company in his final years after his illness. Sheikh Abd al- Rahman used to caution in his lifetime, The path is rare, and Allah knows best the sheikh s true inheritors, in path, in godfearingness, and in absorption in the Divine; though Sheikh al- Alawi has written in the first of his diwan: After the sheikh’s death there appears another like him; That is the way of Allah which never changes. On Friday 11 June 2004 the Damascus brethren of Sheikh Abd al-Rahman put their hands in the hand of Sheikh Mustafa al-Turkmani at the Nuriyya Mosque as their head. The sheikh s main legacy however does not lie in the polity he left behind, but in his reviving the spirit of the tariqa with the Qur an and sunna and pure experiential knowledge of the Divine. A spokesman for the Syrian Ministry of Religious Endowments said at his funeral that he was the renewer of the Sufi tariqas in the Levant and an inspiration to those of the larger Islamic World, renewing the tariqas according to the exacting standards of the Qur an and sunna. The thousands who followed and benefited from the sheikh certainly concurred with this, for he had filled their lives with din and hearts with yaqin. May Allah bless the Umma with the knowledge he taught, and be well pleased with His servant Sheikh Abd al-Rahman al-Shaghouri. And praise be to Allah, Lord of the Worlds.